Get chiseled and build lean muscle by avoiding these common workout mistakes. You almost never eat French fries or donuts or Dairy Queen Blizzards, and pizza is only for cheat days, so you’ve ruled out a crappy diet. You hit the gym five, sometimes six, days a week with a good dose of cardio and lifting, and yet you still don’t know what the problem is. Why am I still not ripped, you wonder. Why am I killing myself in the gym without a six-pack and an abundance of striated muscles to show for it? You’re right, diet may not be the answer. And genetics isn’t necessarily to blame either. There’s a good chance that all the work you’re doing is undermining your efforts of building lean muscle. The fact that you’re frequenting the gym isn’t the issue; it’s what you’re doing once you get there. If your cardio sessions drag on forever and the dumbbells you use always seem to come from the lighter side of the rack—that could be your problem right there. We think we may have just discovered the three main training reasons why people aren’t getting shredded, and it’s time to put an end to it, once and for all. a clean diet is followed), but a body that’s no leaner than before. Here are the facts: Weight training can, and will, help you get leaner, and cardio can actually have a negative impact on body composition (percent bodyfat), as too much of it creates a catabolic (muscle-wasting) environment in the body, which slows metabolism. In the presence of adequate protein and carbohydrate consumption, lifting will help build muscle. More muscle means a faster metabolism, which means more fat is burned and the physique becomes leaner. And while you may burn more calories during a cardio session than a lifting workout, you’ll burn more calories at rest (like when you’re sleeping or sitting around watching TV) as a result of lifting versus cardio. “If you want to know what type of physique results from a lot of aerobic exercise, attend a local marathon or triathalon,” says Charles I. Staley, B.S., M.S.S., strength coach, competitive Masters-level Olympic-style weightlifter, and director of Staley Training Systems. Granted, long-distance runners and other endurance athletes are thin and very lean, but who’s more shredded: the Olympic marathoner or the world-class sprinter? 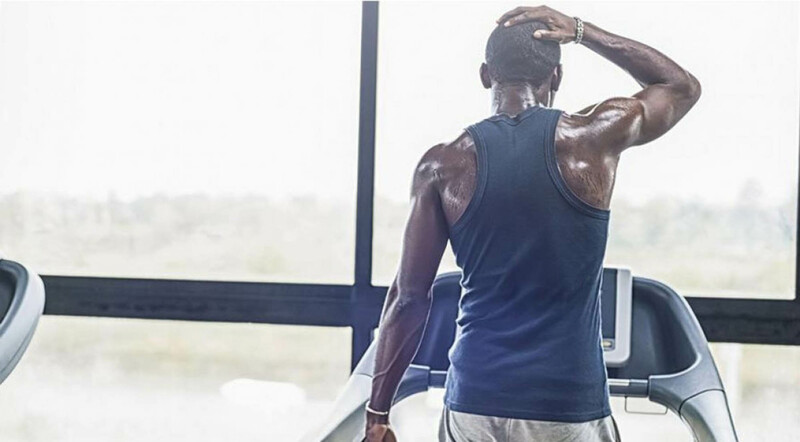 That’s not to say that giving up cardio completely is the answer; but rather, those endless sessions on the stair-stepper and elliptical machines have to go. “A better cardio alternative is higher-intensity, ‘stop and start’ interval-type training, which burns more fat and spares your hard-earned muscle at the same time,” says Staley. The key here is intensity. Because the cardio workouts that Staley speaks of will typically top out at around 20 minutes in duration, it’s critical that you push yourself hard. A short, low-intensity session is, literally, a walk in the park, which will produce little, if any, results. Interval cardio training at its core means alternating between heart-pumping, fast runs and jogging or walking to provide temporary recovery before ramping the intensity back up again. Timing is important too. Staley suggests that, whenever possible, you separate your lifting and cardio sessions—as opposed to doing them back-to-back in the same workout—to minimize muscle-wasting. An off day from lifting is a good time for a high-intensity cardio session. The wrong workout: 45-60 minutes (or more) of jogging or walking on a treadmill at a relatively slow speed. Fast running for 60 seconds, followed by a 2-minute period of fast walking or jogging. Repeat for up to 5 cycles. Intervals can also be performed on a bicycle, elliptical, stair-climber, in a pool, or other mode. Coach’s tip: “If you're new to this type of training, perform 2-3 cycles the first time out, then gradually build up to five cycles,” says Staley.